Glass is a difficult movie to describe. Is it truly a superhero movie? Maybe, there are plenty of references to comic books as well. And yet, Glass is a M. Night Shyamalan movie. There are twists and turns, not all of them great, and the viewer is obligated to pay attention to not miss any details for when the ending comes. Officially Glass is the third movie in what is being called the Eastrail 177 trilogy. And what is odd is that the director has forced Glass to be the final movie in the franchise. You see, without wanting to spoil but seeing a need to do so anyway – all three main characters die at the end. So what is Glass about? Well, the story is set in a world in which some people do have some supernatural powers. Bruce Willis plays David Dunn, the sole survivor from a train crash from which the trilogy name comes. He discovers afterwards that he is extremely strong, almost indestructible and can sense what other people feel by touching them. He uses these powers to act as the city’s anonymous vigilante nicknamed The Overseer. Then there is Samuel L. Jackson, he plays Elijah Price also known as Mr. Glass. As a super-villain he is extremely intelligent and has been a foil in David Dunn’s for years. But he is also physically vulnerable. Then there is Kevin Wendell Crumb played by James McAvoy. Crumb is possessed by no less than 23 personalities one of whom is The Horde – a sadistic serial killer with extreme strength and who can climb walls. All three cross paths when they become institutionalized. 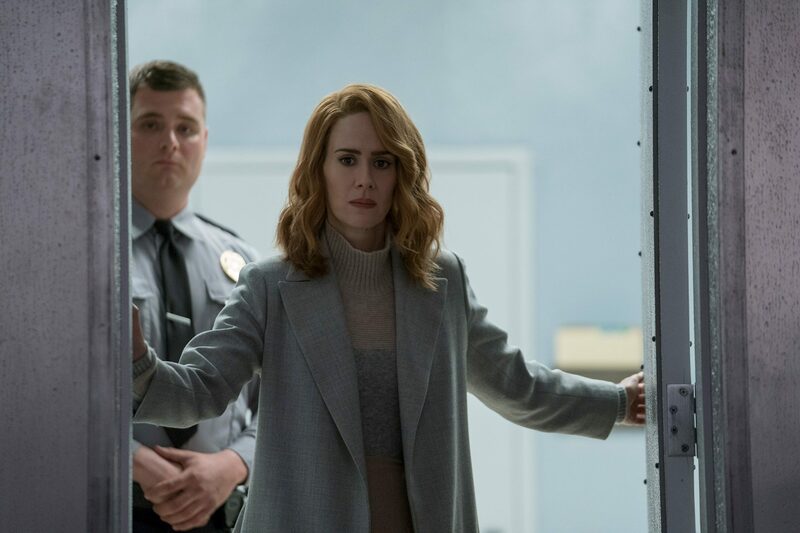 Dr. Ellie Staple (Sarah Paulson) tries to convince them, and the audience, that they are not super-heroes and that they lack any kind of specific gifts. Here director Shyamalan starts to play with the mind of the audience. The powers of the three lead characters are not so absurd as to think that her explanations are impossible. But nobody wants to see their favorite super-heroes brought down several notches to ‘ordinary’ level. And so the movie twists and turns around the issues of what are super-heroes. I dare say that the movie somewhat slow in the middle and the final act may not be quite as spectacular as hoped for. Nonetheless as Mr. Glass reminds us near the end, this is an origin story. For each: Dunn, Crumb and Glass there is a flashback to show what made them the men they are today. In true super-villain style Glass manages to escape from the institute with The Horde as his new found friend. They intend on revealing themselves to the public and usher in a new world. It is here that the movie makes several unexpected moves. Dunn manages to stop the two outside of the institute in an arguably spectacular fight. Yet it is revealed that Dr. Staple planned all of this. She wanted the proof that they are truly super-heroes so she could use her position of power to euthanize them. And so they are. Crumb is shot, Dunn is drowned and Glass suffers from internal bleeding after his chest is compacted. And so it would end, if not for Glass. In a twist just about everybody could guess was coming Glass turns the tables – despite being dead. He anticipated the situation – being extremely intelligent – and hacked into the camera system of the institute to record and stream all of the fight. And so he foiled Dr Staples evil plan and revealed their existence to the world. As intriguing the movie is I cannot help but feel disappointed by the ending. When all three super-heroes die (1 hero, 1 villain and 1 somewhere in between) it is not going to be a feel-good moment. Super-heroes have had their coming-out moment before. Iron Man being a good example, but I don’t remember anyone dying in the attempt. 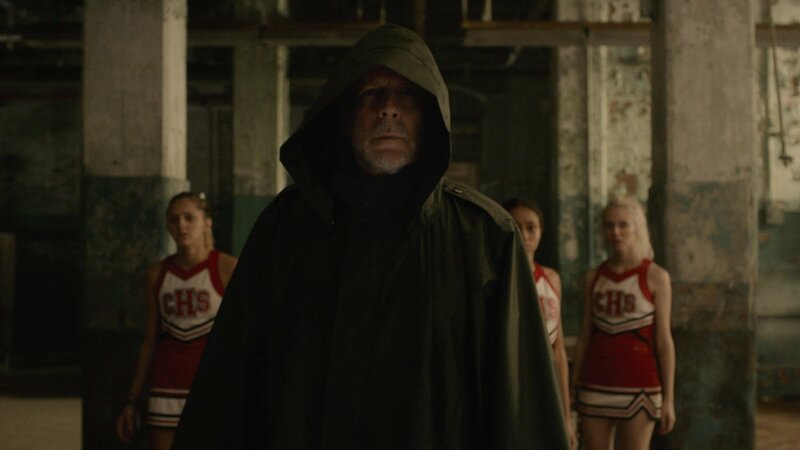 As I mentioned Glass is at times slow, the middle of the movie might even be considered boring as none of the characters are able to use their powers. Instead the director chooses to further each origin story by giving secondary characters more time. Dunn’s son, Joseph as well as the one girl The Horde let go, Casey, and Glass’s mother Mrs. Price. Each are used to further the backstory. I will also tip my hat to each of the main actors in Glass, their performances were top notch. James McAvoy manages to convey each of the characters he plays with absolute conviction. The convoluted plot simply didn’t have what it takes to bring it all together as 90s thriller would. I have no problem in watching a complicated and intelligent super-hero movie. 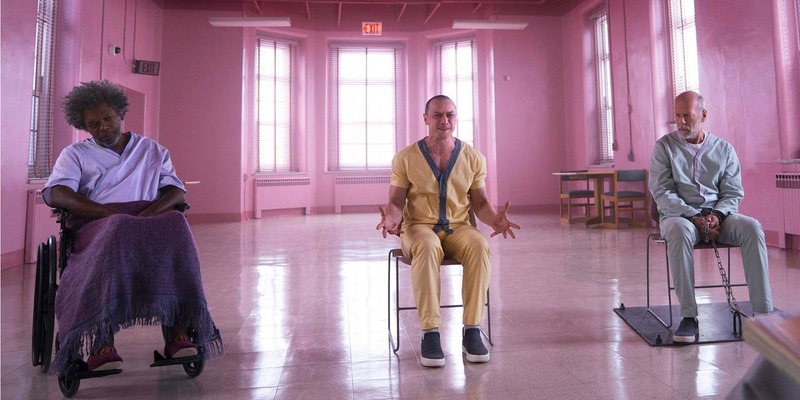 Glass feels very much like a movie Shyamalan could have made 20 years ago. I see aspects of The Sixth Sense and The Usual Suspects. Yet, the director undermines his own efforts when he doesn’t allow his characters to show their full potential. But maybe they did, and their potential was to die in this movie. I think Glass will keep viewers debating for ages to come.